First things first... What happened on that dreadful night in Tanzania? Ugandan talent acknowledged in UK music industry. The office is on the top floor of Millennium Chambers so it’s a great base to hustle Nav from. Best African UK Artist of the Year 2010 VJ OJ talks about spending too much time in the studio: Kuklee himself got dumped b'coz he spends most of his time in the studio. Not everyone is a loser when it comes to that torturous drive home in Kampala's traffic. Famous for his hot-off-the-shelf hit, Bwekiri, Rabadaba, real names Faizal Sseguya seems bent on taking over Ugandan's radio and television stations. Tanzania gets a piece of Juliana. 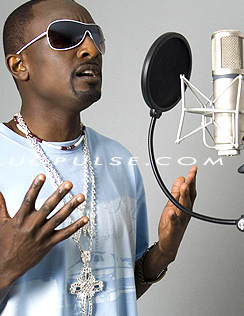 Another TZ East African Music collabo... this time its rapper AY. Saturday's big Winners at the 2007 PAM Awards. Forget the days when one had to really be a musician to understand what Sean Paul, P. Diddy and Shaggy were telling us.